This Fotomaratoner has got a bead on us on the Plaza del Chorro. 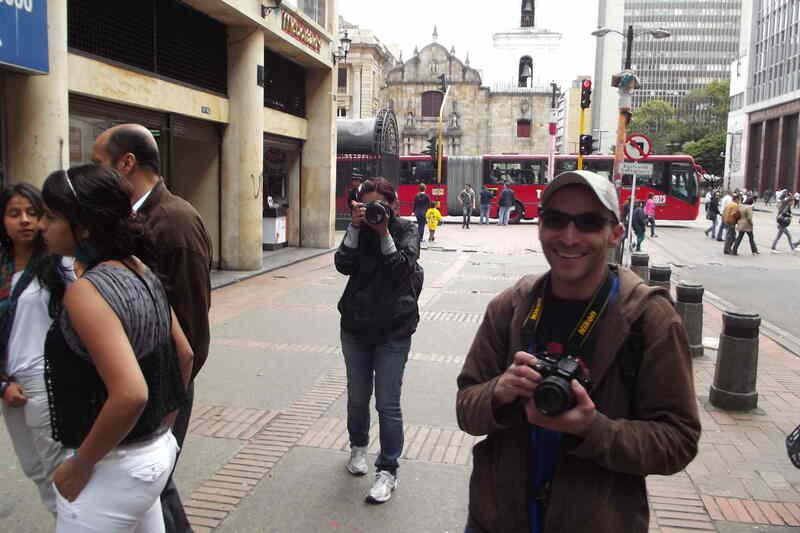 Today and tomorrow are Botgotá’s annual Fotomaratón, in which participants compete to take the most interesting and memorable photos of life in Bogotá. 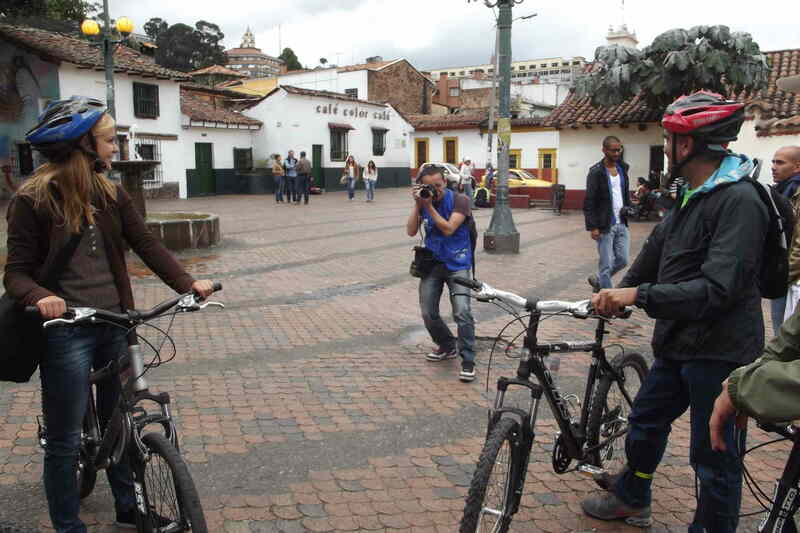 It seems that our bike tour generated lots of interest, as the Photomarathoners seemed to leap out at every turn to snap our photos. Perhaps a bike tour image will win – but it definitely won’t be for originality. 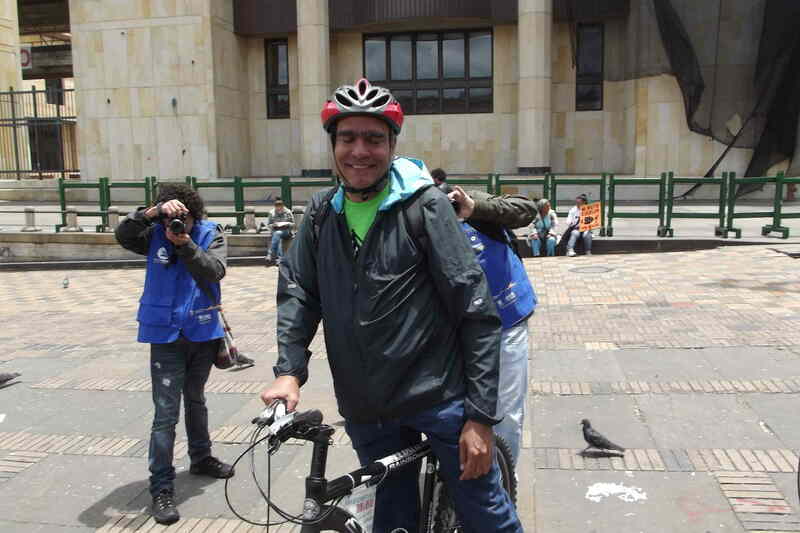 And this one got us on the Plaza Bolivar. These two photographers won’t miss a detail of this cyclist. 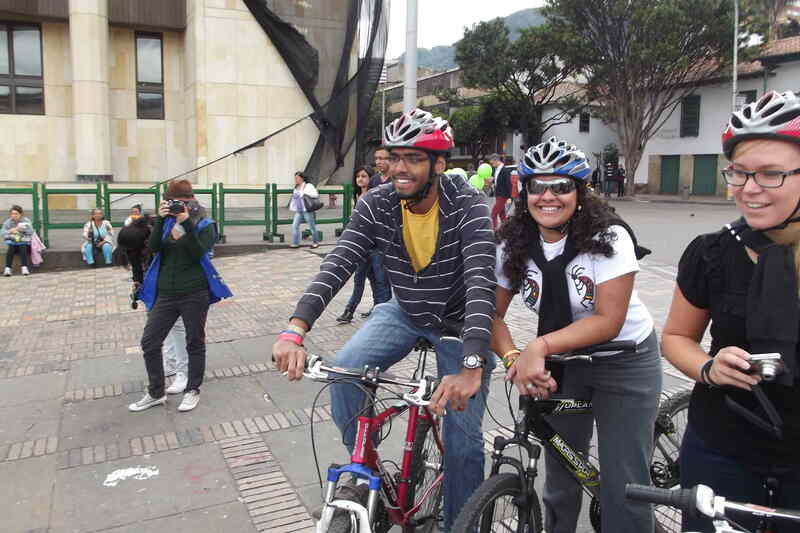 This entry was posted in Uncategorized and tagged bike tour, Bogota, photography. Bookmark the permalink.